In 2014, the last time the Broncos played Seattle, the Seahawks were at the top of their conference, peering down on those far below. Over those four years, much has changed in the Pacific Northwest. Both coordinators have gone, along with their offensive line coach, cornerback Richard Sherman, safety Kam Chancellor, tight end Jimmy Graham, defensive ends Cliff Avril and Michael Bennett, and safety Earl Thomas is holding out with no end in sight. All of that puts the Seahawks in a very awkward position; in the middle of a rebuild without admitting that they’re in one. Instead, throughout the offseason, Seattle has said they’re retooling, and will still compete this season. That seems unlikely, to say the least, but anything is possible when you have an MVP-caliber quarterback. The Seahawks have lost much of their defensive firepower, but still own some dangerous weapons on the offensive side of the ball. 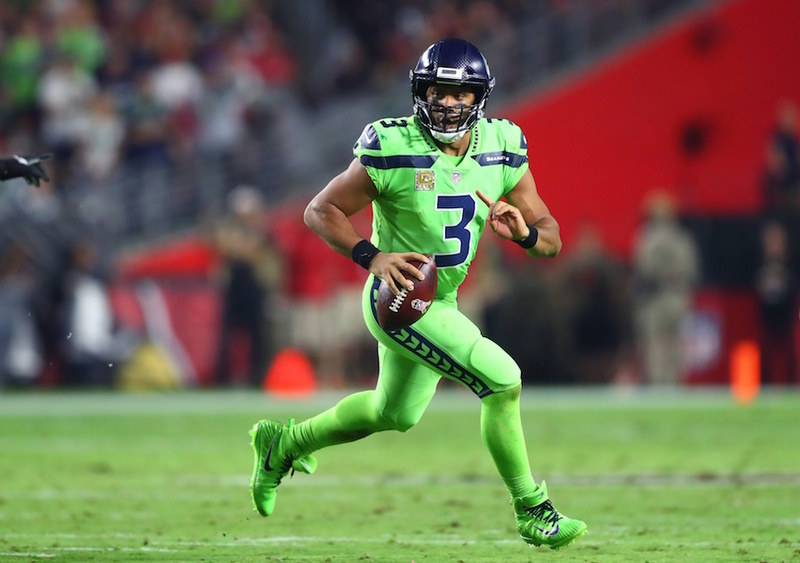 Russell Wilson is coming off what is arguably his best season. He was just nine yards shy of topping his record for passing and rushing yards combined last season and scored more touchdowns (36) than he had in any prior season. Doug Baldwin also returns for Seattle on offense, coming off a strong 2017 campaign. Baldwin had a down year last season but has a chance to see targets galore, given the lack of receivers around him. Fellow receiver Tyler Lockett’s in the same boat. Unlike past Seahawks teams, this unit’s defensive strength lies in its front seven. On the line, you have defensive ends Frank Clark and Dion Jordan, along with defensive tackles Jarran Reed and Shamar Stephen. Clark has been a very productive pass rusher for the Seahawks, and Jordan has seen a rebound to his career in Seattle after being labeled a bust in Miami. At linebacker, the Seahawks have two Legion of Boom-ers in K.J. Wright (who isn’t expected to play against the Broncos due to a knee injury) and Bobby Wagner to go along with former Browns’ washout Barkevious Mingo. Wilson is certainly the most valuable player on the team, but there’s a strong argument to be made that Wagner is the most talented. The Legion of Boom is no more, as are the days of an opposing quarterback being up all night scared of facing the Seahawks. In the secondary, the Seahawks have second-year corner Shaquill Griffin, who struggled at times last season, Byron Maxwell’s backup, Dontae Johnson, and question mark Justin Coleman – none of whom match up well with Denver’s receivers. At safety, Seattle has Bradley McDougald tasked with replacing Kam Chancellor, and former Buff Tedric Thompson tasked with replacing Earl Thomas. Thomas could end his holdout and play for Seattle on Sunday, but that seems unlikely – although it would save him a $500,000 dollar fine. The Seahawks’ offensive line should be improved but will remain a team weakness. Germain Ifedi has struggled mightily for the Seahawks at right tackle since being drafted in 2016. Meanwhile, Justin Britt and D.J. Fluker remain question marks on the interior, but 2017 second rounder Ethan Pocic should help shore up the left side. Duane Brown was an excellent left tackle for Houston, but is on the wrong side of 30 by a good bit. Seattle has more question marks than almost any other team in the league. Will Earl Thomas play? If so, when? Is the offensive line finally improved? Who replaces Sherman and Chancellor? How long can Carroll coach, and how hot is his seat? Has Brian Schottenheimer learned what a 21st-century offense looks like since his time with Jeff Fisher and the Rams? Most of the answers won’t be positive.